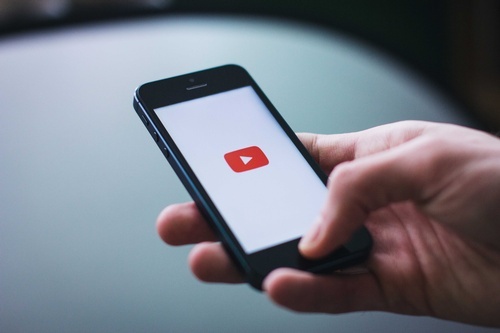 So you want to start producing video content and getting it seen on YouTube. Let’s get the main question out of the way first. The very top, highest-viewed videos on YouTube are music videos, no question. As of February 2018, Despacito has remained not only the top-viewed video of 2017, but of all time on the online platform with 4.83 billion views. Luis Fonsi and Daddy Yankee were followed closely by the likes of Wiz Khalifa and Charlie Puth, with See You Again, and Ed Sheeran’s The Shape of You. This is of course not to mention the 2012 internet phenomenon that was PSY’s Gangnam Style, which still holds the fourth highest view count globally. But unless you’ve got the means and budget to enlist the aid of a Triple A-List celebrity, chances are you’re not making multi-billion views that easily. However, you’re off in the right direction, because just the type of video you produce can directly impact how well your videos do in analytics – before it’s even been made. That said, here are the current most popular types of video – for the average budget. In a recent Google statistic, 62% of consumers go to YouTube reviews to learn more about purchases they’re considering to make. Why? Because viewers can see someone just like them (or just like their child, for toy reviews) give relatable comments and advice that the product company usually won’t take the time to mention. For a smartphone case review viewers can hear comments as simple as “This fits comfortably in my hand” that happens to be all they want to know from a trusted peer source. Not only that, but viewers can see the comments below the video for further information beyond the content of the video. FunToys Collector Disney Toys Review has over 10 million subscribers reviewing toys. According to Think with Google, 67% of millennials agree that they can find a YouTube video on anything they want to learn. This is a display of the level of quality and trust that these step-by-step video guides have instilled with YouTube viewers – and especially mobile users. In particular, How-To Videos have flourished in the home improvement, beauty, and cooking genres. The core of How-To Videos is astonishingly elegant – you’re answering a need. Identify the “I-want-to-do-this” moment and if your brand is fit to fill the need, then you’re set to making a great video. Rosanna Pansino is a baker and actor who has over 9.5 millions subscribers, most notably for her series NERDY NUMMIES. Though they are by no means the superstars that appear in movies, YouTube vloggers are a force to be reckoned with in their own right. Called “micro-celebrities” by some marketing circles, these vloggers own their niche and cultivate a community that is well engaged and active. As we’ve seen in various other studies and statistics, the growing Generation Z bubble will continue to grow up with, and aspire to be like, these internet icons – much more so than TV or movie personalities. This is an interesting one. If you told us ten years ago that by 2018 millions of people would be watching videos of other people on the internet doing nothing else but playing video games, we’d think you were crazy. And yet here we are with a group of communities that is near a billion strong. “Let’s Play” videos typically involve a screen-capture of a player’s screen as they play through a game, usually with commentary on top and a small box showing the player with their reactions. Even New York talk-show host Conan O’Brien does a video game segment nowadays. If you are selling an entertainment product, this sort of video can be relevant. The theme of these videos, however, is universal: you’re sharing an experience. And if you can create a way to relate the best possible experience your service or product provides to your viewer, then you’ll have a video bound for success in your hands. The formula for these videos is simple: Funny = Viral. And all viral content is good content, at least from the lens of your marketer. The “Try Not To Laugh” challenges, where viewers shared videos in the form of a competition of trying not to laugh, propelled great view counts for viral comedy content. These are the some of the most successful types of video that make up a large portion of YouTube’s daily playtime. This is not to say that if you made any other video it would flop and sizzle out, but it’s worth considering to give your audience something they’re already familiar with. Huge shout-out to www.laikanetwork.com for key information on this blog, and www.thinkwithgoogle.com for their statistics!